Antiquarian notes on Isleworth, Middlesex. 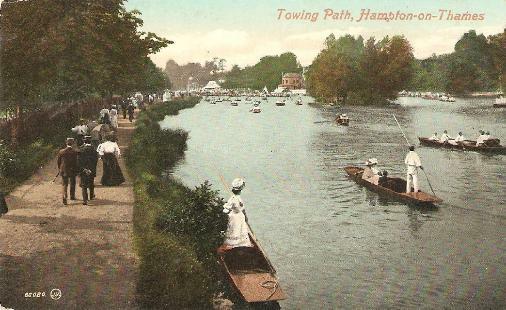 Teddington is located near the river Thames in Middlesex. It is at the highest tidal point on the river and features a lock, a footbridge and a weir. The neighbourhood of Twickenham was once famous for the fertility of its well-cultivated garden-grounds, supplying the London markets with large quantities of vegetables and fruit, particularly strawberries. The house at Twickenham, celebrated by the residence of Mr. Pope, who removed into it with his father and mother about the year 1715.